Will Farmers Bring The World To Its Senses About Climate Change? It is one thing to believe with every fiber of your being that climate change is not happening. For many, it is an article of faith. But when a farmer watches crops withering in fields that were once lush with vegetation, those cherished beliefs are subject to change. In Germany, 10,000 farmers are facing bankruptcy after a summer of record high heat and record low rainfall, according to a report by NPR. Dairy farmers are slaughtering their cows because there is not enough grain available to feed them. The grain harvest this year is down 25% from normal, with some farms reporting more than two thirds of their crops have been lost. The German government has offered nearly $400 million in emergency aid, but the farmers say that is far too little to offset their losses. Tim Knobloch, a farmer in Lower Saxony, says “We try to play our part here. I introduced crop rotation because it’s much better for the soil. The corn we produce is turned into bio gas. We spray as little nitrogen as possible. Even our tractors are the latest fuel efficient models. Frankly, I’m not sure what else I can do.” It should be noted that Lower Saxony is home to Volkswagen, the world’s largest manufacturer of fossil fueled vehicles. Farmers in Australia face a similar plight. Doug and Rachelle Cameron have a 34,000 acre ranch in southwest Queensland where they raise Angus Charolais cattle. After years of persistent drought, they have decreased their breeder herd from 1,300 to 900. Doug turned to making beef jerky from his herd after he saw some selling for $5 at a local store. Last week, Fiona Simpson, president of the Australian National Farmers’ Federation, told the National Press Club that climate change is making the drought in Australia’s eastern states worse. Australian politics have been roiled lately by a virtual coup d’êtat pulled off by conservatives opposed to the renewable energy policies promoted by former prime minister Malcolm Turnbull. New PM Scott Morrison seized the reins of power and appointed Angus Taylor, a staunch supporter of keeping the country’s coal generating plants in operation longer, as his new energy minister. Lowering emissions is now completely off the table in Australia. Brent Finlay, past president of the National Farmers’ Federation, mocked the media tour undertaken last week by incoming prime minister Scott Morrison, calling him just another in a long line of ministers with “no real appetite” for national drought policy in a changing climate. Renewable energy advocates have similar things to say. 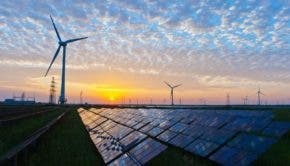 While Angus Taylor is busy bemoaning the high cost of electricity in Australia and suggesting more coal is what the country needs, supporters of renewables counter that constant shifts in federal energy policies are causing investors to shy away from making the long term financial commitments to less expensive sources of energy needed to bring electricity prices down. Farmers, as a rule, tend to be a fairly conservative lot. The areas in the US identified as being “red states” also tend to have large numbers of farmers. When the farming community begins to acknowledge climate change, based on what they are experiencing in their own lives, a shift away from climate denial may be in the offing. Climate denial has been good for lots of politicians — until now. Perhaps changing the minds of farmers is necessary before political support for policies that address climate change rather than mocking it becomes a realistic possibility.